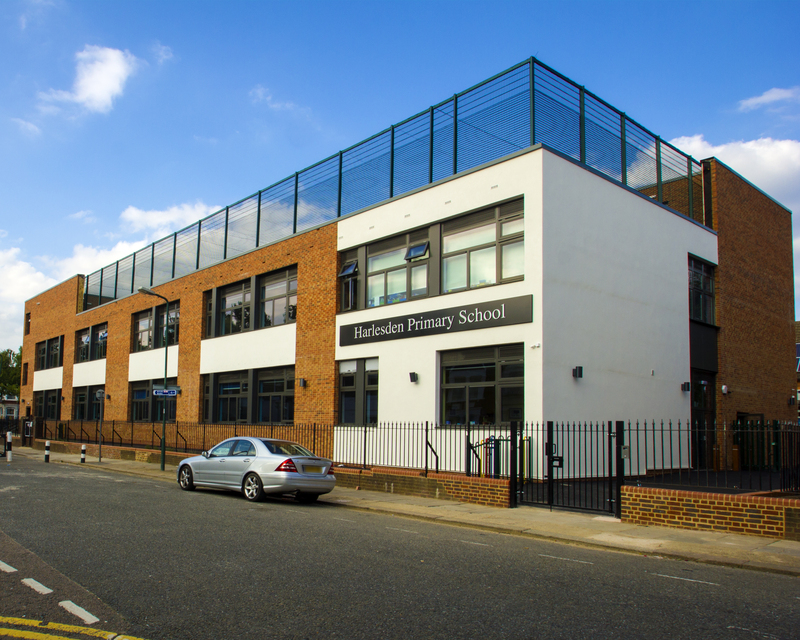 Harlesden Primary School in the London Borough of Brent desperately needed additional teaching space to be able to accommodate an increase in pupils in the local community. With off-site construction reducing project times by up to 50%, modular was selected as the most programme efficient building method. Working with ISG as a key supply chain partner, Premier Modular Ltd provided the new school block as one of three projects within Brent. The new teaching block consisted of 57 modules with 3 additional modules for stair core and rooftop plant room. The predominantly 2-storey building included nursery classrooms and assembly hall, with a single-story extension linking to the main school building. The building was externally clad in a combination of brick and render with large glazing to give a modern finish. 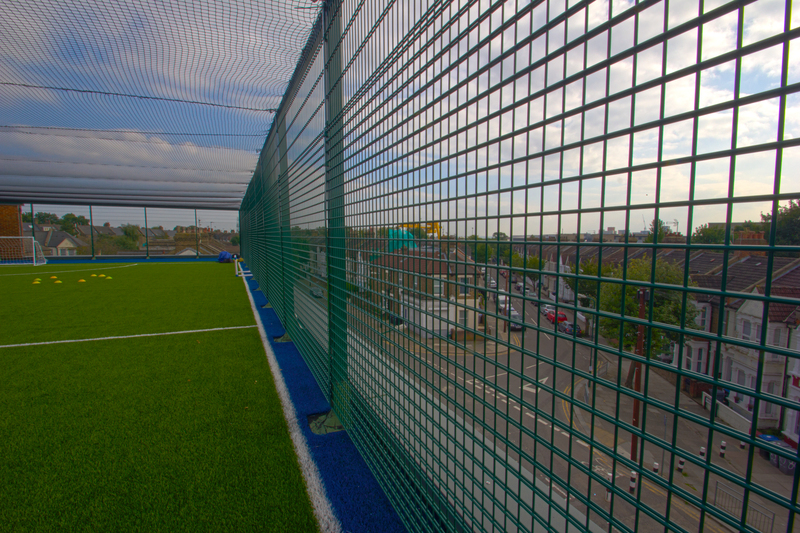 To offsite the loss of playground space the roof of the new school building featured an innovative rooftop Multi Use Games Area complete with fencing. 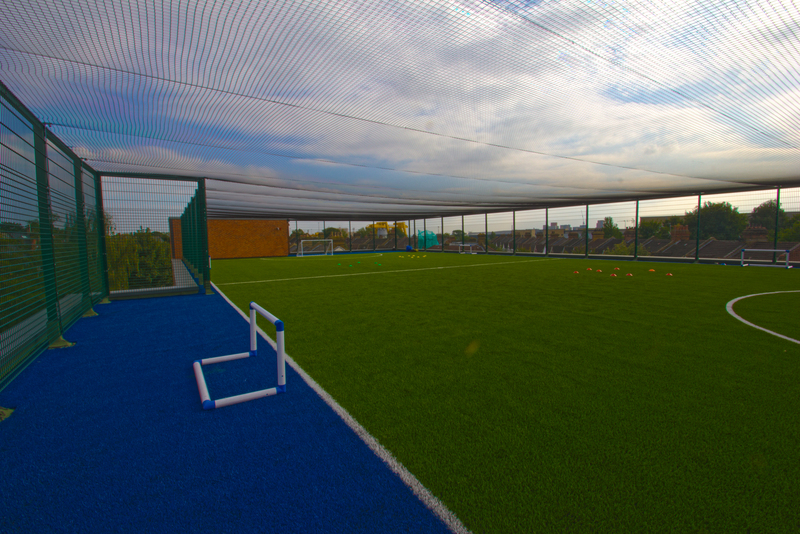 The new specialist sports pitch not only provides the school's pupils with a unique place to play with far ranging views over the rooftops, but also gives a community facility to enhance the link between the school and surrounding residents.